Hello again! The Singer family if off to Africa (don’t worry there will be plenty of photos to share)! I wanted to write one more blog for you all before we’re off! I had such an incredible Memorial Day. Memorial Day holds a lot of meaning for everyone. We often kick off the Summer with BBQs but it all stems from the celebration of remembering those who served our country. A great Patriotic holiday! Every Memorial Day I have a gathering at my home for dinner. Theses dinners have been anywhere from twelve people to sixty people. So much is going on right now so we decided to have one table of twelve wonderful friends. 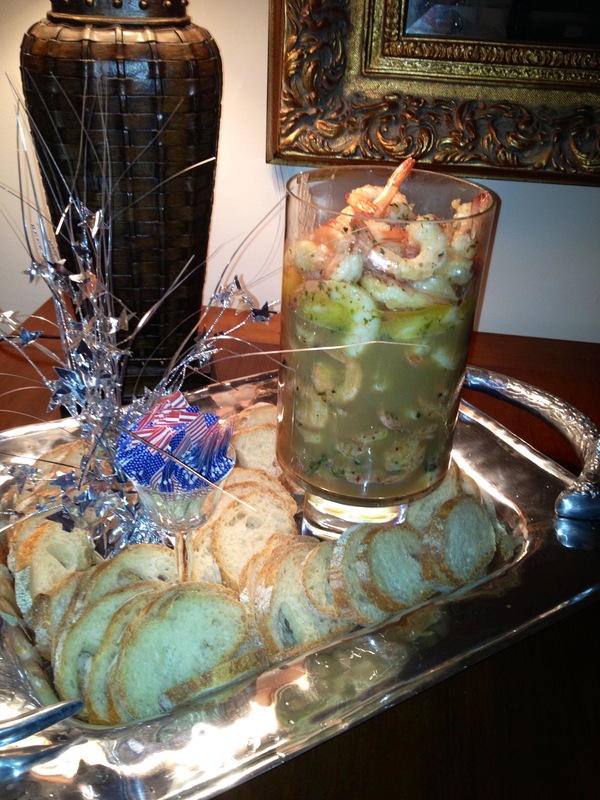 I marinated and grilled some shrimp and served with toast. Crisp, light and refreshing start to dinner. 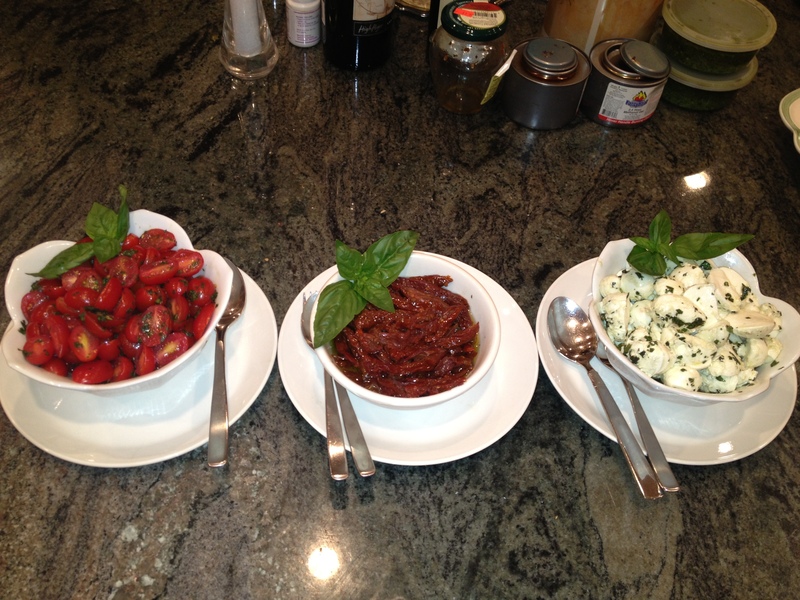 I served pasta in fresh pesto sauce and then provided different toppings for people to choose from. A fun little make your own pasta bar! 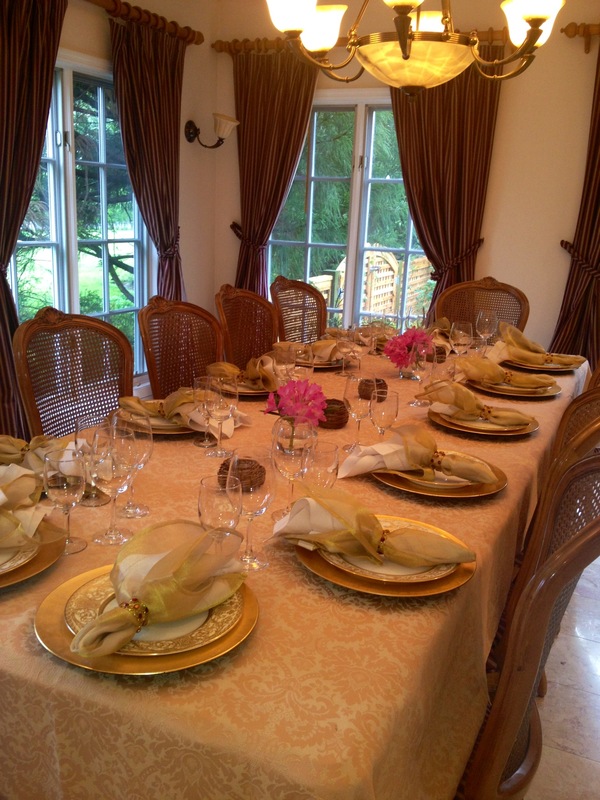 I set out my antique gold china and cut fresh flowers from my personal garden for the table! 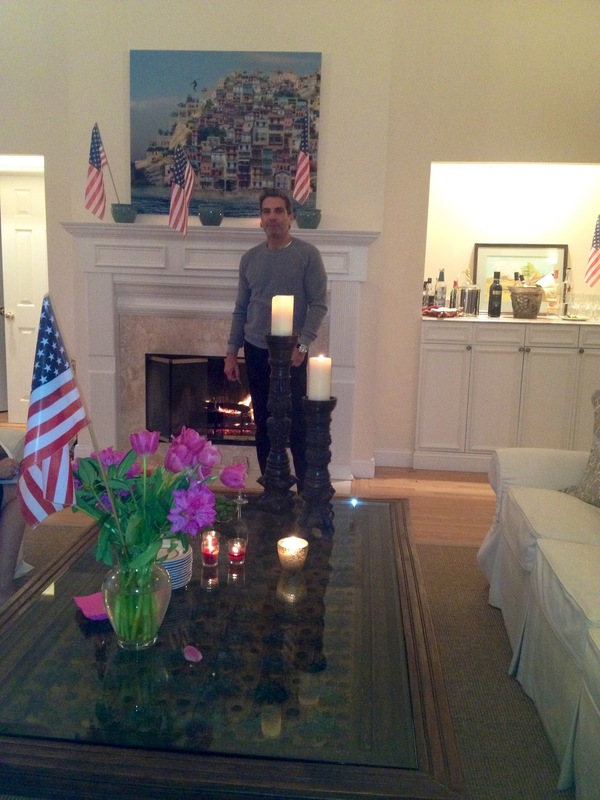 Mario lit all the candles and set out our American decor while we waited for our guests to arrive! After dinner it was obviously TURTLE TIME! 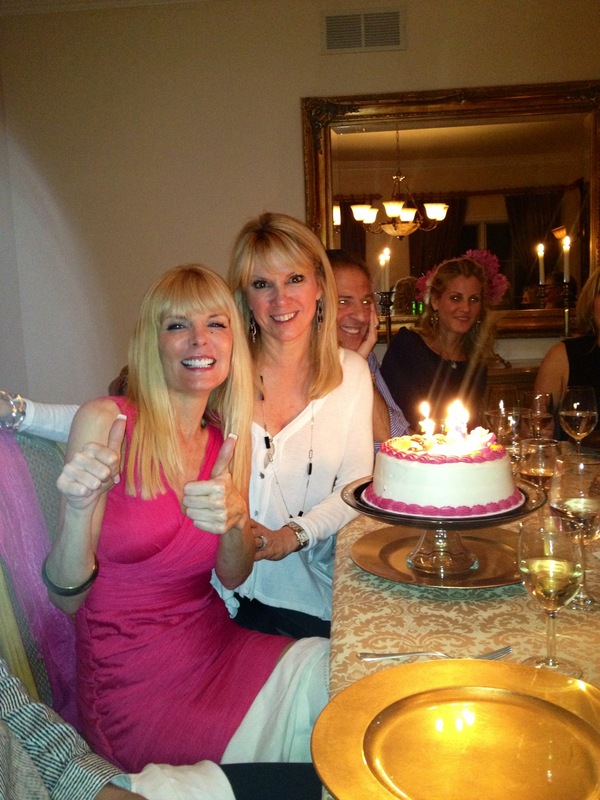 We ended the night with some birthday cake!! Hello again! Thank you for the great response on my flower blog! Its been quite the month in the Singer residence. 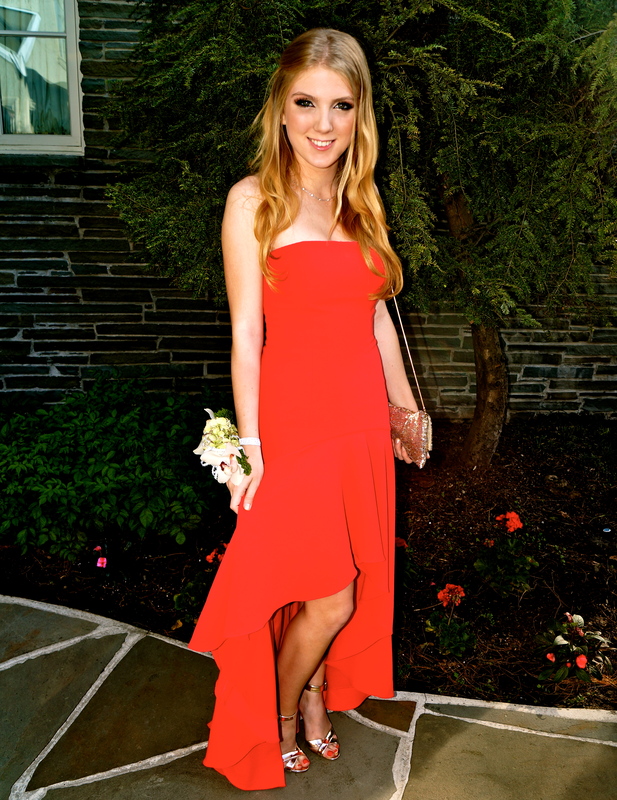 I can’t believe Avery turned 18, had prom and is graduating all in a matter of a month. Where does time go?! It has been a really emotional time for me. I am very lucky to have such a great relationship with my daughter but it makes it that much harder to see her grow up and prepare to leave for college. Being a mother, you hope she has everything she needs for the real world. Prom day was hectic! I had girls running around in sweats getting their hair and makeup done and planning for the night’s events. I have to admit I loved it. I’m going to miss those days when they are all away at their respective colleges. When Avery and her girlfriends (who are like bonus daughters to me) walked out of her room all dressed up, I burst into tears. 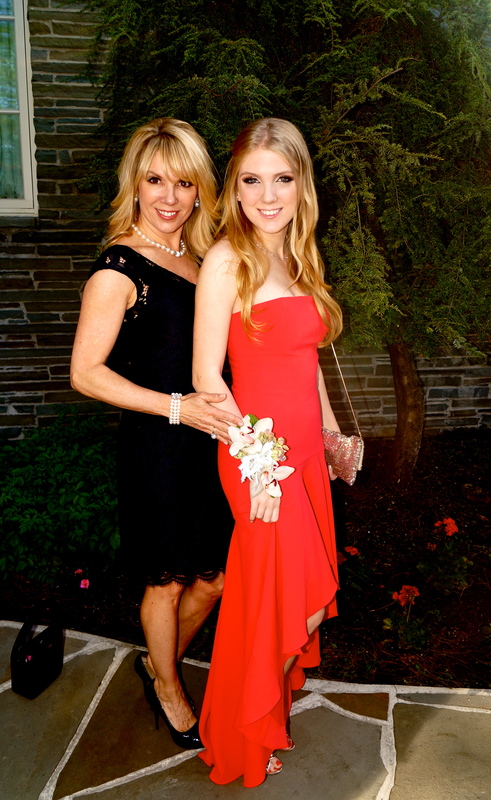 Avery looked like such a stunning young woman. I’ve never been so proud. Avery’s dress was gorgeous! We had spent a whole day shopping and found it at BCBG. Her Schutz shoes completed the look. Parents held a pre-prom party where Mario met us and he was just as floored as I was. 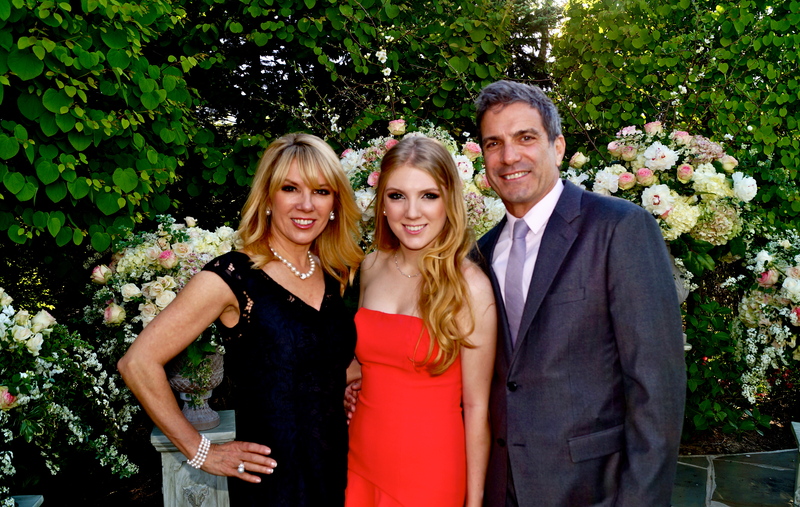 We were both just so proud to see our little girl all grown up and looking so beautiful.